Sign up for our newsletter and get access to the latest news in the area of project and agile management, great deals on our courses, events, webinars and valuable free content, such as our eBook Project Management Guide. 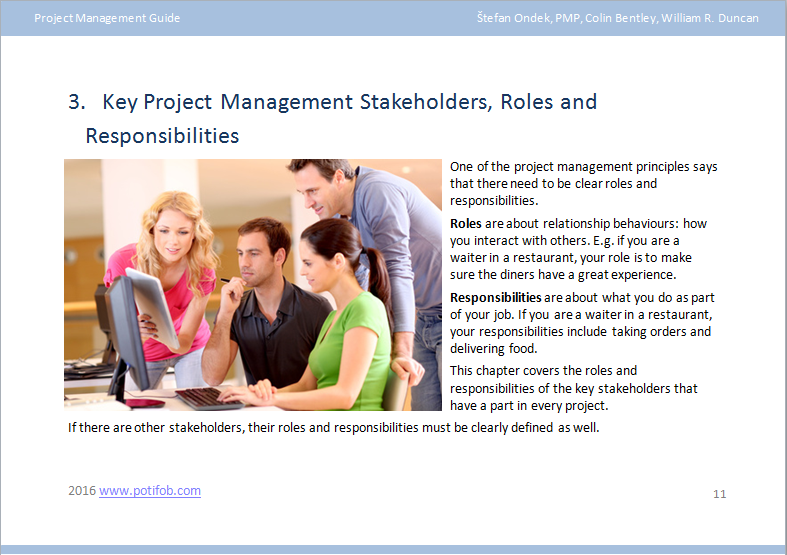 Written for you by Stefan Ondek, PMP - the managing partner of POTIFOB, Colin Bentley - the "father" of PRINCE2 and William R. Duncan - the primary author of the original PMI PMBOK Guide. By pressing the button, you agree to this processing necessary for sending eBook and newsletters from us that will be related to the topic, several times within a year, for 5 years. You can cancel your approval at any time by clicking the UNSUBSCRIBE button in each email from us. By pressing the button, you agree to this processing necessary for sending product above and newsletters from us that will be related to the topic, several times within a year, for 5 years. What will you find in it? 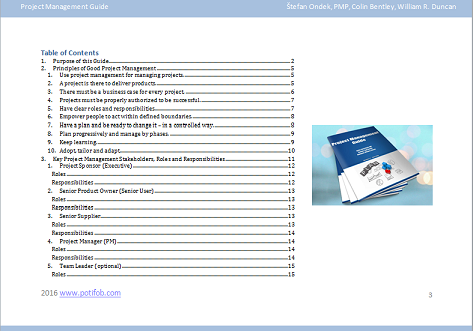 Download for FREE the PRINCE2 process model, which will provide you with an overview of this method. Get free detailed training map in project, service, IT and Agile management which help you to decide how to continue in your professional carier. Take the opportunity to try for FREE a shortened version of the PRINCE2 Foundation exam!